Study at a leading technology and innovation university to embrace the Industry 4.0 wave. WITH many unemployed graduates struggling to secure a job after graduating, this has become a major concern for many students and their parents. As the impact of the Fourth Industrial Revolution or better known as Industry 4.0 hits closer to home, we are now edging closer to living in a futuristic world and it is only just a matter of time that routine jobs be replaced by automation and robotics. As one of the leading technology universities in Malaysia, Asia Pacific University (APU) has been addressing the needs of Industry 4.0 through their innovative teaching and learning methods with first-of-its-kind courses and world-class facilities – ensuring students a future-proof career, not just for their first jobs but for life-long careers. If technological studies is something you are interested in, APU might just be the premier private university for you. By ensuring that all students are empowered with the ability to keep up with the challenges within the world of Industry 4.0 and beyond, APU is upholding their vision as a university of technology and innovation to nurture the world’s future innovators. A report published in 2017 titled Emerging Technologies’ Impact on Society and Work in 2030 by Dell Technologies revealed that almost 40% of jobs ranging from entry levels to C-levels will soon be replaced by 2030 – causing far-reaching implications on students aspiring to join the workforce of tomorrow. Under Industry 4.0, computerisation of smart and autonomous systems have driven developments in revolutionary technologies such as big data, augmented reality (AR), cloud computing, cybersecurity, Internet of Things (IoT) and autonomous robotics. As a result, new jobs have emerged where new talents are needed but are not being produced by universities. APU addresses the Industry 4.0 wave by introducing carefully designed courses. However at APU, courses offered to students are highly relevant to Industry 4.0, making graduates future-proof and ready for employment. The teaching and learning approaches at APU are carefully designed to nurture innovative thinking within an integrated campus environment. Students also develop a global mindset by operating within a multi-cultural community on campus that comprises students from over 130 countries. Besides, APU graduates are seen to possess the necessary soft skills and professionalism to face the global challenges ahead. APU’s Industry 4.0-relevant programmes such as in cyber security, data science, IoT, intelligent systems and cloud computing, were carefully designed together with APU’s industry advisory panels, to equip students with the latest technical and soft skills that are required by the future job market. While Industry 4.0 also impacts the global business, accounting and finance spectrum, our students who are currently undergoing their studies in business management, accounting, banking and finance are also exposed towards Industry 4.0-relevant areas such as Financial Technology (FinTech), Digital Marketing, E-Business and Blockchain. APU have also re-designed the programmes to incorporate both traditional financial and business methods as well as innovative emerging technologies, ensuring that business, accounting and finance graduates are future-proof and Industry 4.0-ready as well. Industrial-grade infrastructure available at APU allows students to be exposed to real-time data and scenarios, training them to become competent technology professionals even before they graduate. For instance, the first-of-its-kind APU CyberSecurity Talent Zone features military-grade real-time cybersecurity monitoring software at the full-fledged Cyber Threats Simulation and Response Centre and Security Operations Centre, providing them real-life exposure and practical experience. Learning at APU is no longer confined within the classroom in the era of Industry 4.0, as one’s practical knowledge becomes as significant as academic and theoretical knowledge. Industrial-grade infrastructure at APU allows students to undergo a practical learning experience. APU’s industrial partnerships with innovative accelerators such as GrowthX Academy and Supercharger further enhances the platform for students to realise their world-changing ideas. The formula has proven to be a success, as APU students have been well-recognised through their victories in national and international level competitions organised by major industry players, such as FAMELab, Intel-CREST Industry-University Challenge, NASA Space Apps Challenge, World Asian Business Case Competition, SAS FinTech Challenge and many more. Under this formula, over 40,000 alumni are employed globally in reputable multi-national companies such as Accenture, HP, IBM, Huawei Technologies, Astro, Maybank, Standard Chartered and many more. On March 23 (Saturday), APU will be organising a series of Industry & Career Seminars, where industry experts from the fields of Cyber Security, Actuarial Studies, FinTech, Games Development, Design & Visual Effects, Data Science, Engineering and other Industry 4.0-relevant areas will be conducting live seminar sessions to provide exposure on potential job opportunities, skillsets required and the prospects of the relevant industry. PRINTING out a kidney from a machine sounds like something out of a sci-fi movie. But this could soon be our reality, as researchers continually develop 3D printing with living cells. This is just a taste of how the next industrial revolution will be. Loosely defined as the blurring of lines between technology and our real world, the Fourth Industrial Revolution (4IR) will likely see breakthroughs that will change our lives. To prepare for what lies ahead, new standards are being drafted by the Department of Standards Malaysia (Standards Malaysia). Existing standards are also being reviewed to see which can be developed to support the 4IR. Focus is given to standards affecting seven industries deemed as “pace-setters” in the country – industries where Malaysia has the right skills and know-how to potentially become a leader. These sectors are automotive, food processing, chemicals, petroleum and pharmaceuticals, electrical and electronics, financial services, telecommunications and courier services and lastly, IT services. For starters, 10 new standards will be introduced on blockchain technology, with three expected to be ready next year, Department of Standards Malaysia director-general Datuk Fadilah Baharin tells Sunday Star. Blockchain, to put simply, is a list of data that cannot be manipulated. As such, it offers a secure way to trade, reduces costs and distrust, increases security and bypasses middlemen. It can be used in various areas but today, its main use is as a distributed ledger for cryptocurrencies like bitcoin. Fadilah says the three new standards will define jargons and terminologies in the system and set benchmarks on contracts in the blockchain environment. The other seven standards are currently being drafted. “At the moment, there are no rules about blockchain technology in Malaysia. “Local experts, including from Bank Negara Malaysia, are on board with us to draft these standards,” she says in an interview. Such standards will prepare Malaysia for the development of cryptocurrencies and other potential areas which may use blockchain technology in future. Apart from that, present standards on agriculture will also be studied and reviewed. This is to ensure they are in line with the changing times, including how latest technologies can be part of production in plantations and other commodities. “The standards are already there. But we need to infuse it with technology,” Fadilah adds. But while the 4IR is set to be an exciting time, Malaysia does face several challenges which may impede how fast we can adapt to this era. Fadilah points out that there is still a socio-economic gap between urban and rural areas in the country, with some areas still trailing behind in terms of infrastructure. Such an imbalance can stand in the way of our country fully embracing 4IR. “Some places still do not have good quality Internet access. “Some people also have problems owning a car but elsewhere, others are considering driverless cars and electric cars,” she says. But perhaps the biggest hurdle to overcome is the people’s mindset. “Technology is evolving and machines can be modified. But change must first come from within. “We will lag behind if people do not embrace change and only stick to a fixed mindset,” she adds. Agreeing, Academy of Sciences Malaysia chief executive officer Hazami Habib says the 4IR is already here in Malaysia but we will fall behind if people do not see beyond boundaries. Drawing from her personal experience, she says an example of innovative thinking was meeting with a plantation operator who used a drone with a video camera to monitor crops, instead of having workers walk around the whole area. Such creative thinking, using technology, is needed if Malaysia is to be in tandem with the 4IR. “To build the right ecosystem, we need the Government, business sector, academics and the civil society to have a mindset that supports growth. “We need the kind of leadership that encourages innovation,” she says. She says the seven “pace-setter” industries in Malaysia, outlined by a recent local study, showed that Malaysia has the necessary knowledge and strengths in such areas. And we should use this to our advantage to launch us forward into the 4IR. “The most precious commodity in future is knowledge. It is the next currency. As long as we have it, we will stay relevant. “If we don’t have knowledge and technology, we will keep buying other people’s inventions,” Hazami says. She also points out that 98% of companies in Malaysia are small and medium sized enterprises (SMEs). But it is the remaining 2% companies consisting of government-linked companies and multi-national firms which outperform all the rest. “The 2% of companies have higher productivity. In the 4IR, we need a collaborative economy with shared vision. “For example, 10 SMEs can join forces to fill the whole value chain of production to compete with larger companies,” she illustrates. As for whether the advancements in 4IR like robots will be a threat to human jobs, Hazami sees it as opportunities rather than threats. 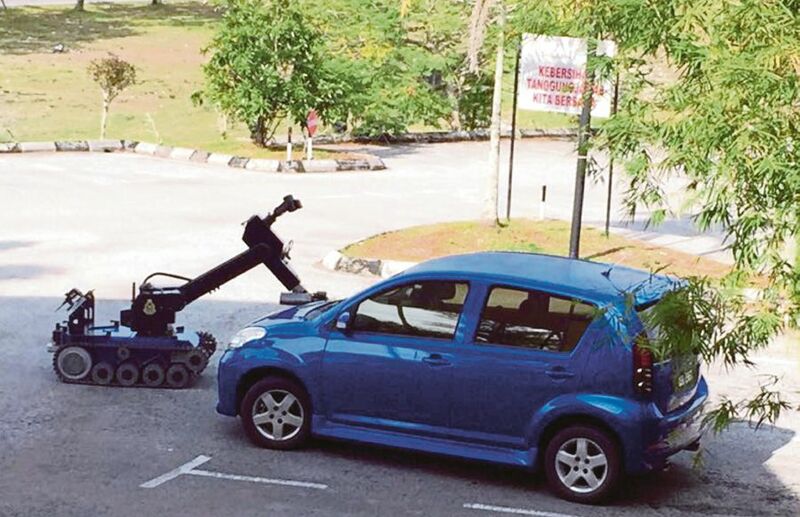 “Robots still require humans to maintain them. Robots can process data in seconds but it is humans who analyse the data and give them meaning,” she says. She also believes Malaysia will have the necessary human capital to face 4IR in its full bloom. “Semi and high skilled talents are in the pipeline. The Government’s policy of having 60% of students in science disciplines will fulfil requirements of the future. “The focus on Technical Vocational Education and Training (TVET) will also ensure Malaysia has the right kind of workers,” she says. In line with the growing conversation on 4IR, the revolution has become the theme for this year’s World Standards Day, celebrated on Oct 14. Standards Malaysia, as a member of the International Organisation for Standardisation, is commemorating the event by organising a competition on Instagram which ends on Oct 31. How it can break big tech’s hold on A.I. PAIRING artificial intelligence (AI) and blockchain might be what you would expect from a scammer looking to make a quick buck in 2018. The blockchain, the database design introduced by bitcoin, has lately been the most popular route for anyone looking to raise money for an idea that sounds too good to be true. Despite how easy the combination is to mock, the idea of applying blockchain to AI is attracting a growing roster of serious entrepreneurs and venture capitalists, many of them with impressive academic credentials. Dawn Song, a computer science professor at the University of California in the United States, and Ben Goertzel, the chief scientist at Hanson Robotics, have been among big names arguing that blockchain can be a crucial way to push back against some of the most worrying trends facing the field of AI. Many AI experts are concerned that Facebook, Google and other big companies are hoarding talent in the field. The Internet giants also control the massive troves of online data that are necessary to train and refine the best machine learning programmes. Song, Goertzel and other entrepreneurs believe blockchain can encourage a broader distribution of the data and algorithms that will determine the future development of AI. Several startups are setting up blockchain-based marketplaces, where people can buy and sell data. Ocean Protocol, a project based in Berlin, Germany, is building the infrastructure so that anyone can set up a marketplace for any kind of data, with the users of data paying the sources with digital tokens. Unlike Google and Facebook, which store the data they get from users, the marketplaces built on Ocean Protocol will not have the data themselves — they will just be places for people with data to meet, ensuring that no central player can access or exploit the data. Ocean Protocol is working with several automakers to collect data from cars to create the AI of autonomous cars. All the automakers are expected to share data so none of them have a monopoly over it. Another startup, Revel, will pay people to collect the data that companies are looking for, like pictures of taxis or recordings of a particular language. Users can let their phones and computers be used to process and categorise the images and sounds — all in exchange for digital tokens. Over a thousand people have already put their computers to work. These sorts of marketplaces are only the outer layer of the blockchain-based systems that are being built to handle AI data. Song is working on a block-chain, known as Oasis, that will use advanced techniques to secure the data being bought and sold, so that no one — not even the company using the data — will get a copy of it. In the Oasis network, all data moving through the system will be locked into encrypted bundles. Researchers will be able to run the data through their machine learning algorithms — and prove that the calculations were done correctly — without actually seeing the underlying data. Other startups are using blockchains to open access to the AI models themselves. Goertzel has created SingularityNET, a blockchain that will serve as a link among AI services around the world. If one AI module is unable to come up with an answer, it can consult with others and provide compensation if one of the other modules is able to get it right. Mohammad (second right) presenting an award to a student participant, witnessed by Maimunah (third left). KOTA KINABALU: Teachers nowadays play a more challenging role in nurturing a future generation that meets the demands of the Fourth Industrial Revolution (Industry 4.0). Chief Minister Datuk Seri Mohd Shafie Apdal said the government was undergoing a paradigm shift by improving and upgrading the national education sector. “The government plans and executes numerous policies as well as programmes to transform the national education system so that it remains relevant with current demands and is sustainable with quality education. 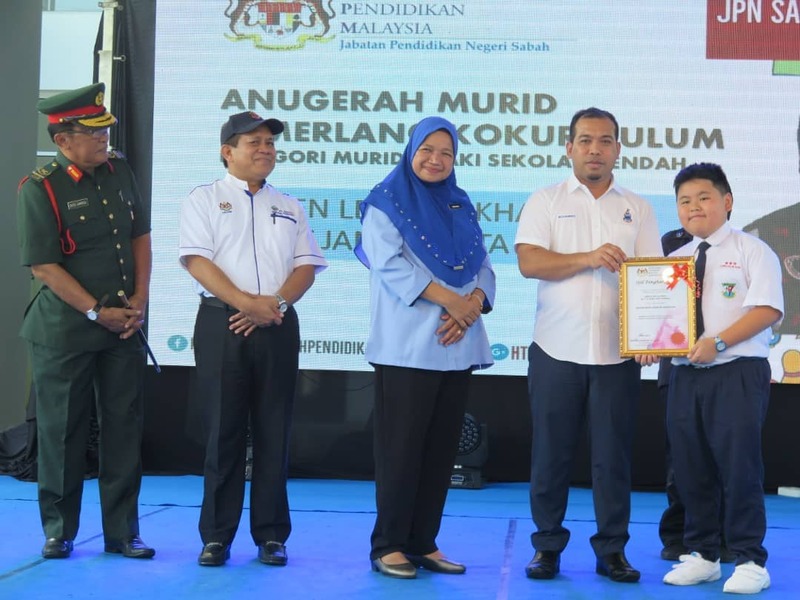 “This is in line with one of the National Key Result Areas (NKRA), which is to widen the access to quality and affordable education,” he said at the closing ceremony of Karnival Pamer Keunggulan 2018 by the Sabah State Education Department here, yesterday. His speech was delivered by Assistant Education and Innovation Minister Mohammad Mohamarin. Nonetheless, Shafie reminded that all parties must understand that realising the goal was not easy and the results from it were not instant, but requires appropriate timing. He then commended the State Education Department for organising the carnival as an initiative to revolutionise education. “Congratulations to the State Education Department for making this programme a success, where students’ achievements in various aspects are displayed. “In an era of taking up the challenge of a democratic education, we can only be open towards accepting prospects,” he said. According to Shafie, the programme was meant as a platform to share experiences and successes of students so as to continue the legacy of excellence among Sabahan children. THAT the world is enthralled by what is in store for the future with the rise of the Fourth Industrial Revolution (4IR) is an understatement. Ever since the concept of the 4IR became a catchphrase for the next “big” thing, the global trendsetters are peddling it as a panacea that can cure most of the ills that humanity is currently grappling with. What is more, the technopreneurs are saying that the fusion of digital revolution and biotechnology will change the world like never before. After being lulled into accepting that technological progress is the only way forward, we forget that we will lose our humanity along the way. This is partly due to the fact that with technological change, social and cultural norms will have to evolve; some of those norms will then be codified into a body of regulatory law. This is most evident when the First Industrial Revolution took the world by storm. An unprecedented social, cultural, economic and ecological change took place alongside the First Industrial Revolution: mass urbanisation, significant increase in the educational attainment of the population, role of the state and in how governments are chosen, child labour, and ecological crisis were not simply the negative and positive externalities of technological change, but were ways in which society evolved in order to enable the productivity possibilities of the new technologies. In his illuminating new book, Tan Sri Dzulkifli Abdul Razak lays bare the contradictions of how humanity is dealing with technological change. In the Fourth Industrial Revolution: The Leadership Dilemma, the writer acknowledges that the world is changing fast, and in unexpected ways. He rightly points out that with rapid advancement in information technology, huge swathes of the job market are at risk of being automated. This book is a rarity in the discourse on 4IR because unlike the mainstream narrative, it cautions the reader to assess technological change with a keen eye on what it does to humanity. Dzulkifli argues that there are three “leadership” dilemmas that have to be wisely dealt with before a successful policy on the 4IR can be formulated. The first dilemma has to do with whether or not the 4IR is an isolated phenomena or it is a continuum of events. We would do well, according to the author, to conceptualise the 4IR as a continuum of events as we have to understand the interconnectedness of the 4IR to the first, second, and third industrial revolutions. What were the factors that triggered the First Industrial Revolution in Europe some 250 years ago? How did European society deal with the disruptions? These are some of the important questions that need a well thought-out answer before we can embark on the 4IR superhighway. The invention of the steam engine during the First Industrial Revolution, for example, is dubbed by economic historians as a “general purpose technology” — an advance that can be used to do things more effectively across many different facets of life. 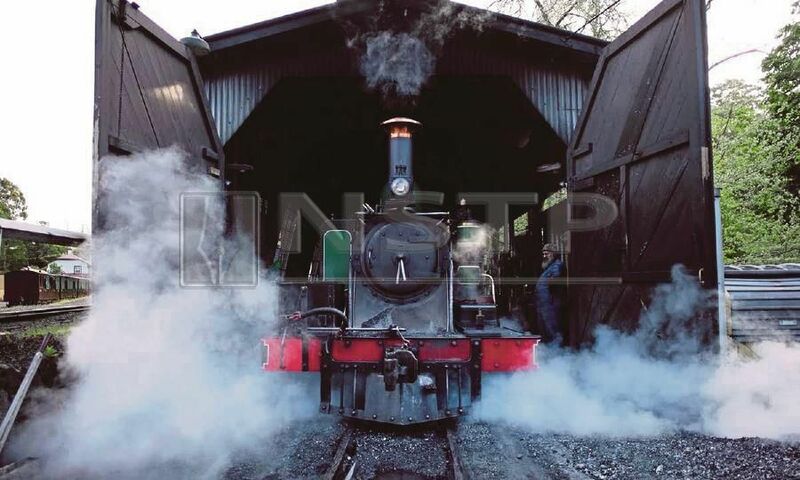 A steam engine could be hooked to any production facility that previously relied on wind or water or animal power. It could be affixed to transport devices — boats, cars, train engines to make them go farther, faster, with more horsepower. Steam could be used to boost productivity in all sorts of contexts and industries. It is the general purpose technologies such as steam and electricity that generate revolutions. What is of importance, Dzulkifli cautions, is to take a holistic view of the previous industrial revolutions and take stock of both the good and the ugly. Many of the negative externalities of the previous revolutions such as the ecological crisis are still not dealt with successfully. Will 4IR be able to deal with a host of problems brought about by the previous industrial revolutions or will it exacerbate the problems? The second leadership dilemma is even more pressing. With the change in technology, are we moving away from anthropocentrism to technocentrism? The First Industrial Revolution had ushered in the anthropocentrism era largely due to heightened human activities. Put in another way, the ability to “tame” nature had placed humanity at the centre of the universe. That said, we should also note, according to the author, that anthropocentrism had caused immeasurable damage in the guise of species extinction and in widening the wealth gap between the top one per cent and the rest. In addition, the emphasis on STEM (science, technology, engineering, and mathematics) will bring anthropocentrism to a new low. Since STEM is already dehumanising, 4IR has to be properly navigated so that it will not bring about the new era of technocentrism, which will surely relegate humanity to the backburner. The final dilemma is the tug of war between artificial intelligence (AI) and primordial intelligence. Will the rise of AI bring about the end of “free will” as we know it? Will it also bring about the dictatorship of the machines? By Dr Azeem Fazwan Ahmad Farouk. Malaysia’s Ministry of International Trade and Industry has published the National Industry 4.0 Policy Framework Draft and now open for public consultation (Duration: Feb. 12, 2018 – March 2, 2018). I believed with the brains of various contributing organizations (government agencies, universities, Associations, Industry, etc), MITI has managed to collectively gather all the relevant and necessary inputs. Except that I noticed they did not consult Startups for whatever unknown reasons since I believed Startups have their own vision too. In fact, Startups looks at the world differently from the bigger conglomerates. Also, take note that the Industry 4.0 Policy Framework only focused on the Manufacturing sector. Thus, the definition 4.0 takes into the progress and impact of manufacturing sector due to the advancement of technologies. Previously there’s an argument about the differences between the terms 4th Industrial Revolution and Industry 4.0. Personally, I felt limiting ourselves to the lower part of the value-chain (manufacturing), will also limit ourselves to transform our Nation into totally digital (digital lifestyle). Talent Development – It’s difficult for a Nation to move forward without enough talent pool. We can depend on foreign expertise only when we don’t have enough talent locally. But have we done enough? How do expedite the process of approving new Courses or revamping old syllabus in the Universities? Buy Local Attitude – We must ensure a balance between importing technology and using local technology. Local companies can’t immediately go global if they are not given a chance to prove locally. To encourage the growth of Startups that are key to becoming job creators, we must support them in providing the necessary trust and environment to proof their technology are also at par or better than the overseas. Digital Transformation Mindset – If your company doesn’t have Internet, not many or none of the younger generation wants to work there simply because the current generation is tech savvy. It’s about time, the “older” generation take a bold step forward and become tech-savvy themselves. We didn’t realize that having an Internet access and IT database are actually prerequisites to Industry 3.0. Ask ourselves, are we already in Industry 3.0 before stepping towards 4.0? If yes, how big is the gap between rural and urban in this digital transformation? Impact of Industry Integration to Policy Making – Remember UBER and how we react towards them? Remember motorcycle-sharing Dego and how we react towards them? Who will regulate a driverless taxi? What happens when a Taxi can fly? All of these disrupt the current business and need a new way of regulating them. We need to be fast. Thus, we must have trials as early as possible to see the impact of public usage and government regulations. In future, Insurance and Transportation or Insurance and Home or Health will be merged as an Outcome-based economy rather than the product-based economy. How flexible are we in handling this inevitable business merger? Last year there were 55 million students attending school in grades K-12, all of whom are potential clients for educational services. However, franchise opportunities in the educational services industry are not limited to tutoring school age kids in subjects like math and science – opportunities abound in childcare and early education, career education, art, dance, adult language, test preparation and even driving. The vast majority of revenue in this industry comes from tuition or program fees. Gross profits tend to range from 60-90% depending on geographical location and subject matter, and net profit averages out to between 2-10%. As companies within the industry have grown they have realized some benefits to scale – lower fixed costs and greater operational efficiency; however with that growth has often come a difficulty finding qualified instructors. If considering franchising in this sector it is important to understand the demographics and potential fit in your local hiring pool. Online training resources, programs and even mobile apps have traditionally been seen as challenges to the industry, but in recent years successful educational service providers have found ways to leverage this technology to their great benefit. Not only are these tools helping students learn in new and exciting ways, but they are helping providers manage students, administrative functions and source material distribution more efficiently. The growth in this industry is in part attributed to the growing global competitive landscape for higher education, but also for greater recognition of the value of trade schools. Many folks are realizing that the cost of a college education can saddle a person for life – and are opting to skip college, learn a trade and start making money faster and with less debt. Tutoring in the US is a $7 billion dollar industry and a popular franchise option, either based out of the home or at an on-site location. The home-based model employs the franchisee as a broker who acts as an intermediary between educators that provide tutoring and students needing instruction in any number of subjects. Examples of this model include Club Z Tutoringand Creative. Interesting for those considering opportunities in this sector: brokering franchisees of this type do not need to have prior experience in education. The on-site location based model involves the franchisee having a center at which kids come to be tutored or take classes. In addition to subjects like math and writing, these franchises will also often offer standardized test preparation. Two franchises with this model are Kumon and Huntington Learning Center. The disadvantage of this model relative to the home-based model is that, because it requires real estate, it is more expensive to start. Some franchises are geared towards younger children and provide a combination of child care and education. It’s estimated that 11 million children under the age of 5 spend at least 35 hours/week in childcare, and there is a growing recognition that early childhood education is immensely important and provides lifelong benefits. Child care is a growing field and the US Bureau of Labor Statistics reports the industry will have some of the fastest employment growth through 2020. In addition to standard child care during the work day, these franchises often also provide after school programs. Child care franchises include Primrose Schools and Rainbow Station. Some franchises instruct children in subjects such as music or painting. Similar to the options in tutoring, some of these are home-based – the franchisee for, say, Virtuoso Music, manages the music instructors and matches them up with students eager to learn. Educational franchises aren’t just for the young. Estimates say that there are about 30 million US residents without a high school diploma, and 20% of the adult population has only basic literacy skills. There are various types of franchises designed to teach or train adults either in GED programs, occupational training, language and more. Franchises are also available to help teach adults business skills – teaching salesmen better sales techniques (such as Sandler Training) or passing on organizational and leadership skills (such as Crestcom); there are also franchises designed to teach financial planning, both for business and personal finance. 911 Driving School teaches defensive driving, license certification, and more. Other franchises focus on recreational activities, such as dancing or cooking (Fred Astaire Dance Studio, Viva the Chef). This field of leisure education is a multi-billion dollar industry driven by individuals’ desires to learn new skills and abilities. But these businesses do tend to be more susceptible to economic downturns as they are more closely tied to personal income than other adult education options. Franchises can also serve as jumping off points for people looking to enter new industries and learn about new careers. For example, there are franchises to train and certify an individual to become a medical technician. There are others that teach financial trading – stocks, options, futures and more. The advantage of franchising in the educational services area is that the franchisee has access not only to the positive reputation and brand name enjoyed by these franchises, but also to time-tested educational systems. It allows franchisees to have a role in education without needing the qualifications or skills to be a teacher him or herself. In addition, working with a large company offers potential marketing advantages not available to a smaller company. Purchasing an education franchise is a great way to succeed financially while also making a positive impact on the community. Global connectivity, smart machines, and new media are just some of the drivers reshaping how we think about work, what constitutes work, and how we learn and develop the skills to work in the future. The concept of a “100 year life” becoming the norm, and the majority of that spent studying and working, means that learning will be a lot more important, and different, for the next generations. Most people will have at least 6 different careers, requiring fundamental reeducating, whilst the relentless speed of innovation will constantly demand new skills and knowledge to keep pace, let alone an edge. I recently delivered a keynote on “Changing the Game of Education” … a vision for the future of education, from schools to lifelong learning … how it will evolve, the drivers, inspirations and what will matter most. Educationalists debate the many ways in which the content of education – at all levels – and the process of learning, will need to change over the years ahead. Disruptive innovation guru Clay Christiansen, for example, points to the dramatic unbundling of education from its current forms so that it can be personalised, repackaging, peer to peer and continuous. Whether it is classroom or workplace, online or offline, structured or unstructured, taught or learnt, standardised or not, certificated or not, then learning is likely to break free from our old mindsets in the coming years. establishes a blueprint for the future of learning – lifelong learning – from childhood schooling, to continuous learning in the workplace, to learning to play a better role in society. in my Gamechangers book I explored 100 of them – they are audacious, harnessing the power of ideas and networks to be intelligent, collaborative, and enabling people to achieve more. taking the principles of how these companies change the game – how can we apply that to the world of education? more important to know why you need something, a knowledge or skill, and then where to find it – rather than cramming your head full … don’t try to learn everything! These are exciting, provocative and potentially far-reaching challenges. For individuals and society, new educational tools and resources hold the promise of empowering individuals to develop a fuller array of competencies, skills and knowledge and of unleashing their creative potential. Technology has become integrated into virtually every aspect of work. And because we spend so much time working, work really is the place where we most directly feel the impact of developing technologies. From collaboration to productivity; from new ways of approaching workspace design to the increasing ability to work from virtually anywhere; and from hiring and recruitment to new skill sets—it is a time of experimentation for companies and organizations as trends in technology converge to change what it means to work. 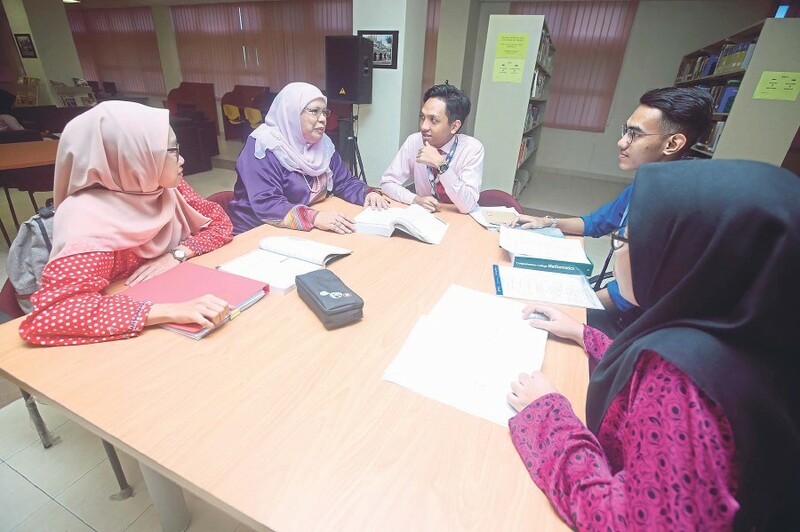 Noraini Idris (second from left) and University of Malaya’s science matriculation students discussing their experience in learning science and mathematics in the programme. IN the era of globalisation, digitisation and fourth industrial revolution, the need for talents in science, technology, engineering and mathematics (STEM) is becoming more pronounced to move the country forward. However, the interest in mathematics and science in schools and, consecutively, universities seems to be waning as reflected in the poor enrolment into science stream at secondary schools, and the lack of good candidates for STEM-based programmes at universities. 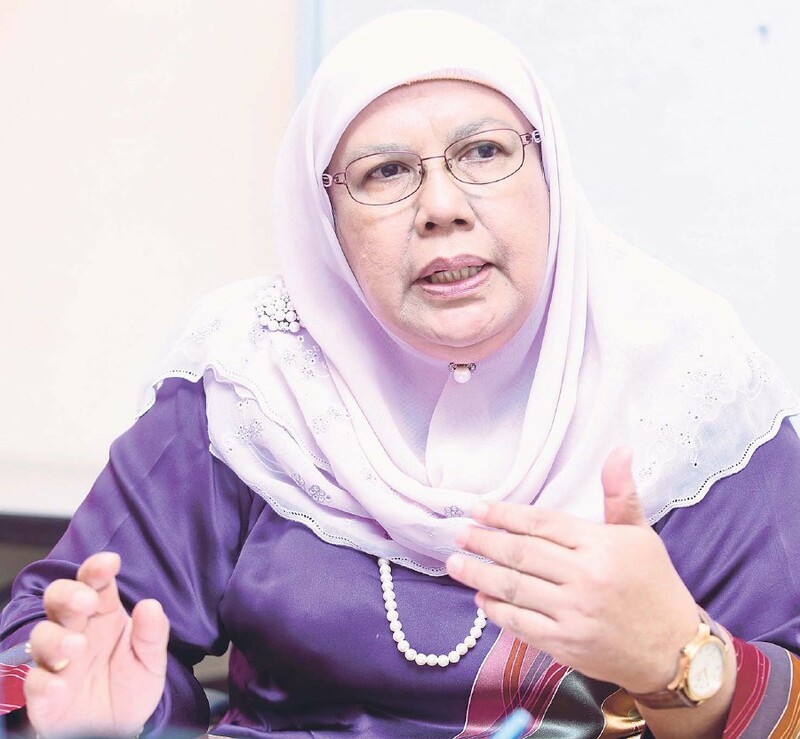 National STEM Movement chairman Datuk Professor Dr Noraini Idris said this disinterest in science and mathematics stemmed from uninspired teaching of the subjects at schools, which had a continued impact at the higher-education level. “When I was studying in the 1970s and 1980s, science and mathematics teachers at school were knowledgeable and well-versed in the subjects. In class, they had students enthralled with their stories on the subjects being taught, whether it be maths or science,” she said. “In mathematics, we were thought to reflect and think, and had to give reasons for equations, like whether it is true that one plus one is two. And, if so, we had to give reasons why is it true. We had to prove it in class — both students and teacher. For science, Noraini said teachers would have students carry out experiments in the science labs. “But science is not just about chemical elements and confined to labs. Teachers would also teach science through agriculture or gardening, where students had fun and were encouraged to ask questions and think,” she said. “Last time, we were not that clever but we built up interest in science and mathematics because our teachers were engaging. “The textbooks used in class was not used to just copy exercises from. We read the textbooks and applied or link the knowledge to everyday life. That was what made me like science and mahematics till today,” said Noraini, who holds a string of qualifications in mathematics, including a PhD (Mathematics Education) from the Ohio State University, in Columbus, Ohio, the United States. She obtained the doctorate in 1998. “Teachers were strong in the knowledge, as well as pedagogically. I think this is what differentiates today’s and yesterday’s classroom,” Noraini said. “We have to strengthen our kids’ interest in STEM. When they enjoy learning STEM and partake in STEM-based activities, this will trigger curiosity and go towards exploring the use of STEM to provide innovative applications and solutions,” she said. She said only allowing students who obtained As and Bs in science and mathematics into the science stream in upper secondary, which has been the common practice, might not be the way to go. “When I was young, students were encouraged to take up science. 15 is too young to decide on streaming. “What is best is for all to enter the science stream, fortified with subjects like social science and economy. That way we can get more talents in STEM,” said Noraini. She said Malaysia could learn from Finland in training and grooming great teachers, as well as an ecosystem that supports insightful and fun learning that encourages interest in science and mathematics. In a recent study visit to Finland, Noraini saw that to teach sicence, candidates must not only be strong in the subject, but also in pedagogy, with a clear grasp of in-depth technique of teaching science. “They take five years to graduate to become teachers. This is inclusive of active research done in schools,” she said. Apart from preparing competent and passionate teachers, the Finnish government facilitated the setting up of start-ups comprising graduates to create teaching modules and toolkits to be used in schools, like 3D printing kits. There were also companies which created applications to be used in schools that animated and gamified elements of science to get children excited about STEM. “The whole ecosystem is in place, from school to talents and start-ups, that come up with teaching aid. The framework is impressive,” said Noraini. She said Finland parents were welcomed to school, whether they had a background in STEM or not. They get involved in teaching the kids, where parents share their careers in STEM. “We at the National STEM Movement have been trying to involve the community and other stakeholders in the STEM Mentor-Mentee Programme to promote greater interest and capacity-building in science and mathematics among students,” she said. Launched in 2016, the programme pools together lecturers, researchers, scientists, engineers and mathematicians from the academia, professional bodies and the industry to offer guidance in promoting better understanding of STEM and provide the expertise to nurture talents in the field, mainly among students from Forms One till Three. It involves facilitators who are the teaching staff of universities, mentors comprising science students from tertiary institutions and mentees who are school students. “Apart from universities becoming mentors to schools and teachers and students, parents as mentors, too, will be our push this year. It is already happening in SMK Batang Kali. Some parents who work in the medical line in hospitals and clinics have adopted Form Two and Form Three students to became mentees to doctors in the area. They are given lab coats and stethoscopes to follow the doctors when doing their rounds,” Noraini shared. “We also encourage schools to form STEM learning centres. Some schools choose to develop agriculture centres as the core of this initiative. There are schools that have come up with fertilisers, and are selling them commercially. This is supported by the principals. “For principals who are not keen on STEM, we hope the Education Ministry will allow teachers, school management, students and parents to collaborate. “Schools should welcome such efforts. We shouldn’t be territorial and should be more flexible. The community volunteers can help out, if well planned. Students can see careers related to STEM with this initiative,” she said. On other activities by the National STEM Movement this year, Noraini said the organisation would hold an Asia-Pacific Roundtable event in November involving universities, industry stakeholders, the ministry and the United Nations Educational, Scientific and Cultural Organisation. The movement is also active in training teachers to develop digital games. “We will continue with the mentor-mentee programme, science carnivals and hold the Malaysia Technology Exhibition in February next year,” she said. Noraini is also currently helping University of Malaya set up its STEM centre, which would see the development of science- and mathematics-based teaching modules, aimed at making learning the subjects more exciting and insightful. THE term ‘Fourth Industrial Revolution’ (FIR) is a buzzword introduced by Klaus Schwab during the World Economic Forum in 2016. It is defined as the convergence of technologies to blur the lines between the physical, digital, and biological worlds. It is also used interchangeably with the more popular term ‘Industry 4.0’ coined by the German government in 2011. In fact, it is the convergence of underlying technology domains of nanotechnology, biotechnology, information and communication technology and cognitive science where the whole is greater than the sum of its parts. The security implications of the FIR are too complex to fully grasp. These technological waves are coming fast and leaders, whether in the private sector or in public service, need to be prepared. The major concern is what happens to the economy and job distribution. However, there are security implications leaders need to be aware of to develop informed policies and strategies. Let’s peel off each layer of the FIR “onion” one by one. As the security implications are both deep and wide, the following are only highlights of the security aspects of the underlying technology domains. Nanotechnology: A technology conducted at the nanoscale (one nanometre is equal to one billionth of a metre), materials at these dimensions behave differently from bulk properties. Nanotechnology is used to produce nanomaterials, smart materials, nanoelectronics, nanosensors, nanodevices, nanomedicine and so on. Nanotechnology has numerous homeland security and defence applications. It is used for detecting potentially harmful materials, finding pathogens in water supply systems, or for early warning and detoxification of harmful airborne agents. Nanomaterials are used to build lighter and stronger armour and parts for vehicles, equipment, and aircraft. Nanomaterials also allow building of smaller, more powerful rockets, bombs, and other explosive devices. Biotechnology: Biotechnology is a broad discipline in which biological processes, organisms and cells are exploited to develop new technologies and products that help improve our lives. Biotechnology has advanced so much that personalised drugs could be developed based on individual DNA. We are now not only able to sequence and synthesise DNA, but also edit it.This has very grave implications as potential new viruses could be created from the laboratory. Information and Computing Technology (ICT): It seems that almost all aspects of our life now depend on ICT. The Internet-of-Things allows endless connectivity to improve how we work and live. Our dependency on the digital world has made us more vulnerable. Cyber attackers could exploit such vulnerability to serve their purposes. Cognitive Science: This is the interdisciplinary, scientific study of the mind and its processes. Advances in the development of human-machine interfaces, algorithms, and power sources as well as other components are making robots readily available for personal and industrial use. Brain stimulation drugs have been used as cognitive enhancement to keep soldiers alert for days without sleep. Amphetamine and fenethylline are known to be taken by terrorists in suicide bombing missions or to allow them to go into battle not caring if they live or die. Technology Convergence: The security impacts of technology convergence are virtually limitless. One of the technology intersections which receives a lot of attention is artificial intelligence (AI) where “intelligent machine” could be created to operate and react like a human being. That means a machine can see, hear, talk, learn and reason. This leads to the fear that human jobs, both blue and white-collar, would be lost to robots or even the human race could eventually be taken over by robots. Only time will tell. In the near term, as machines get smarter and smarter, the potential threats are also gradually increased. China is incorporating AI in autonomous unmanned aerial systems. Their drone swarms could utilise neural networks to deny the US the freedom of navigation in the South China Sea. The US also leverages AI to develop cutting-edge technology for military and intelligence purposes. In the homeland security front, attackers are using AI to study the target, and identify vulnerabilities to generate hacks. In speech recognition, a startup company named Lyrebird has developed an algorithm that can mimic anybody’s voice after analysing a few pre-recorded audio clips. It can read text with intonation and punctuation. In visual recognition, computer scientists were able to exploit AI to modify or synthesise images to impersonate people online. When both audio and video technologies combined, they could be used to generate fake news to persuade public opinions or to fabricate terrorist propaganda. In machine learning, scientists have demonstrated that AI-generated malicious links outperform human competitors in terms of composing phishing tweets, distributing them over cyber space and victimising more users. In another area of machine learning, researchers have pointed out that many pattern recognition algorithms are easy to manipulate to trick computers, and the implications are scary. You are currently browsing the archives for the Industry 4.0 category.